When I was asked to write these posts I held back. I wasn't sure if I should or not. While I love crocheting, I don't think I'm good enough to be imparting any wisdom to people who want to learn. I'm self taught. I'm still learning. But then I thought, hey, why not? I love talking about my love for crochet, and trying to get people to try it. Heck, I've even tried to teach people in person. 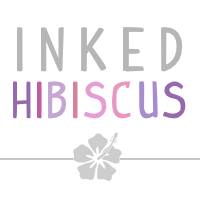 Why should a blog be any different? Back in primary school, we were taught how to crochet. I use the term "taught" lightly. At the end of the year, I knew how to make a slipknot, and a basic chain. Anything beyond that was a mystery to me. 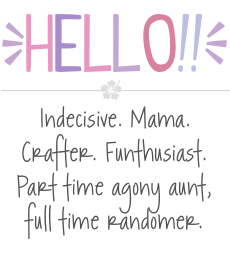 But when I started reading blogs, before I was pregnant, all these crocheted pretty things popped up in the blogs I read. I decided one night to try to learn again, and dusted off my hook. First things first, you'll need the basics. A crochet hook and some yarn. While you're starting out, any basic hooks will do. 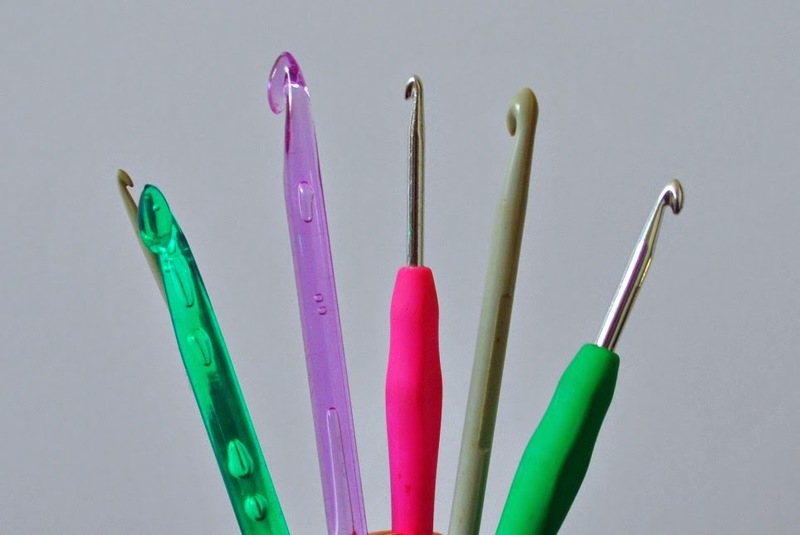 Since I crochet quite a bit, I use rubber handled hooks that I bought from Amazon. Though I've picked up some different types for different projects. It's great that they're so cheap! Helpful, but not necessary, are stitch markers. In fact, in all my time crocheting, I use a contrasting length of yarn to help me keep count. Save those pennies until you know if it's something you'll be keeping up. Another handy tip, use a hook in a size that will work well with the yarn you're using. I started off using a 5mm hook, and some run of the mill double knitting yarn. Usually, there will be an icon on the yarn tag, telling you which size knitting needles or crochet hooks to use. The bulkier the yarn, the bigger the hook. Simples! Once you have your supplies gathered, it's time to get started. Depending on which your dominant hand is, is the hand you'll hold your hook. 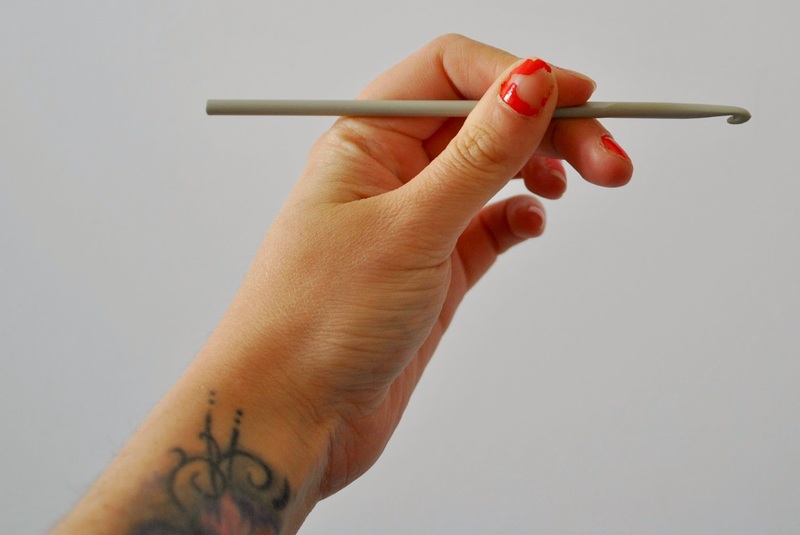 I tend to hold mine like a pencil, but I've decided there is no right or wrong way to crochet. Do what feels comfortable. Also, when you're taking pictures of your hands for your blog, make sure you didn't use a crappy Revlon nail polish that chips when you look at it. Or be to lazy to reapply nail polish before you take said photos. 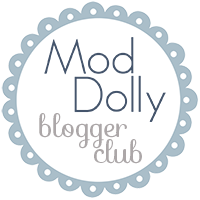 Bad, bad blogger! On the other hand, wrap your yarn twice around your index and middle fingers, making two loops with an "X" in the back. I always found this the hardest to imagine when I was reading up on how to crochet, so here's another unflattering photo of my hand. 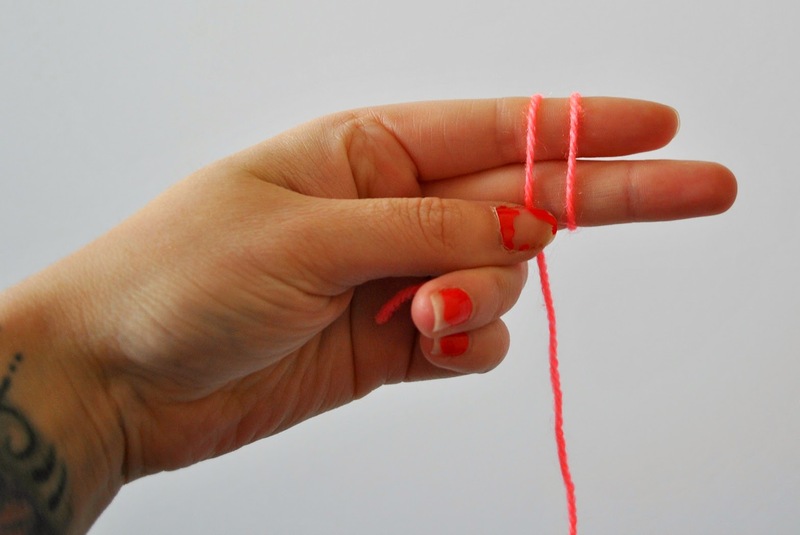 Using your hook, go under the first loop and pull the second loop through the first one, kind of like you're tying your shoelaces. Pull on the shorter tail to tighten the yarn, and there you have it. A slipknot! I'm more of a visual person when it comes to learning new things. While there are many books out there that can help with the basics, I found YouTube so much easier. Tutorials like this one from Crochet Guru to learn how to make a slipknot, and the hardest part is out of the way. 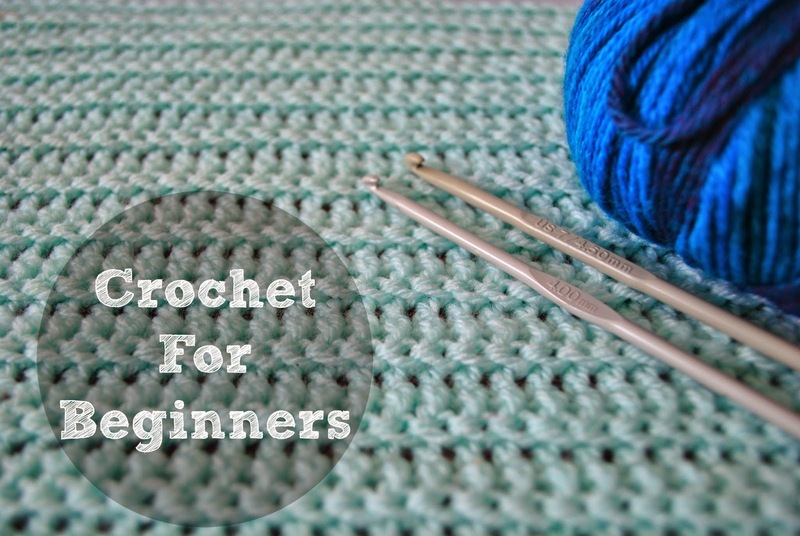 In fact, most of the Crochet Guru videos are pretty top notch for a newbie. I'll be back again with a guide to a foundation chain, and a variety of different stitches. Soon, you'll be well on your way to crocheting up a storm! i really wanna learn to crochet! please do more tutorials! One of your best yet! Great work Collette. Passing on crochet wisdom is fabulicious and inspiring!